We’ve had quite a bunch of SLKs featured on our site, but none of them has ever been so closely related to the stance scene like this one. Most of the other SLKs we featured are tuner cars. 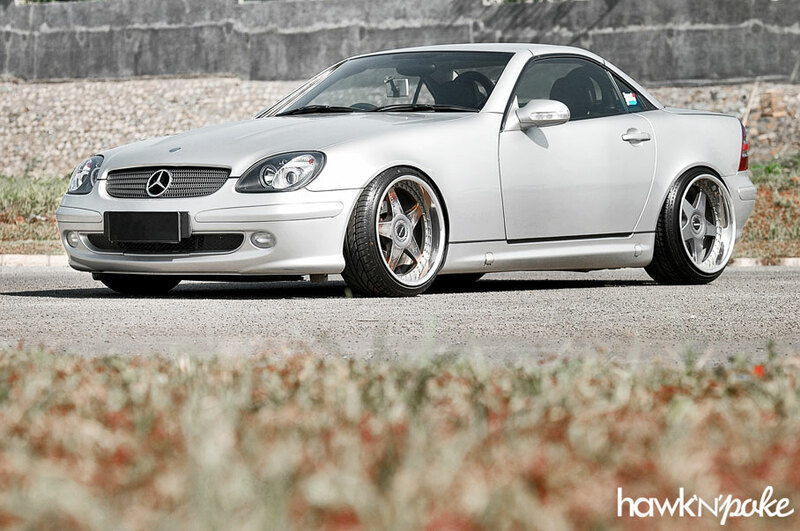 This SLK, however, is sitting on a set of uniquely finished Rays Sebring with plenty of stretch on those tires. All these treatments aren’t so surprising considering the owner’s involvement in the ‘Indostance’ community.